John 15:11 (Part of the Five Marks of a Christian series). Preached by Pastor Jon Truax on September 17, 2017 (Sunday Morning). 2 Timothy 2:8-9 (Part of the The Apostles' Creed series). Preached by Pastor Jon Truax on February 19, 2017 (Sunday Morning). John 21:1-14 (Part of the General series). Preached by Pastor Jon Truax on April 3, 2016 (Sunday Morning). Mark 14:53-65 (Part of the Lent series). 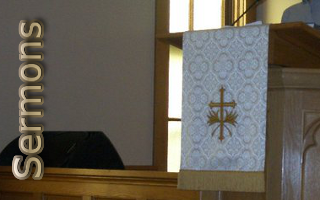 Preached by Pastor Jon Truax on March 13, 2016 (Sunday Morning). John 20:24-28 (Part of the Easter series). Preached by Pastor Jon Truax on April 27, 2014 (Sunday Morning).